People have a broad tendency to want to simplify evil. In that sense the idea of a monster can be as comforting as it is frightening. After all, as bad as a person might get, as far as they might go, and as many terrible sins as they might commit, they can always frame themselves against a monster, imagined or otherwise, in order to diminish the evils that they have been party to. Shadow of the Colossus understands this basic aspect of human nature, and uses it to its full potential while establishing its narrative. It understands that to cast a character as a protagonist, especially a silent one, is to make him instantly relatable. It is for this reason that the player never questions their actions throughout the game, and is, thus, genuinely surprised when they discover that they’ve been playing as the villain for the entire tale. The game begins with the player character (called “Wander” in all associated media) riding into an isolated valley and entering an ancient temple. Once inside, he reveals the burden shrouded on his horse: his dead lover. After wordlessly placing her upon an altar of stone, Wander hears a heavy baritone voice echoing from above. The voice charges him with the task of slaying 16 massive beasts known as Colossi. Only then will his love be returned to him. The notion seems pretty straightforward: slay the monsters, get the girl, right? Wrong. As the small narrative tidbits dropped throughout the game hint, there is a lot more to this than what we’ve been told. For example, every Colossus dies with a ceremonious groan of pain amid a sad orchestral crescendo. After their deaths, a dark force leaks out of them and enters Wander’s body, causing him to pass out and wake up back at the temple. It’s also worth noting that most of the Colossi do not become aggressive until they’ve been attacked; in other words, they’re simply defending themselves. However, it isn’t until the death of the final Colossus that the curtain is raised completely. When Wander returns to the temple for the last time, he is confronted by the priests and warriors of his homeland who have followed him to this accursed place. While they urge him to stop his mad quest, it is already to late, as the dark god that has been instructing him thus far, Dormin, has finally regained his full strength. 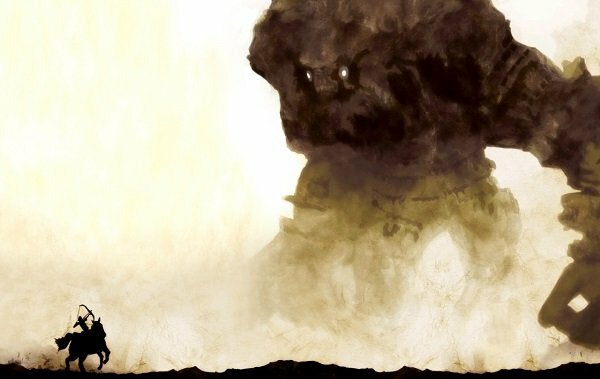 Essentially the Colossi were giant prisons constructed long ago to hold the dark energy of this evil entity, and now, with each of them destroyed, Dormin is free to return. The dark god possesses Wander and he grows into a towering creature of shadow, at last becoming a monster in form as well as heart. Although he manages to kill a few of his aggressors, the temple is eventually sealed and an arcane ritual dissipates Wander, seemingly killing him. In the epilogue though, it is revealed that Dormin did indeed honor his word, as Wander’s dead lover awakens on the altar. What she finds in place of her lost love is simply a nameless infant. But who is the infant? Wander? Dormin? Perhaps both? The point in the end seems to be that it doesn’t matter: like any baby, this child is equally capable of good and evil, and as he grows, he will reveal himself as either one or the other.